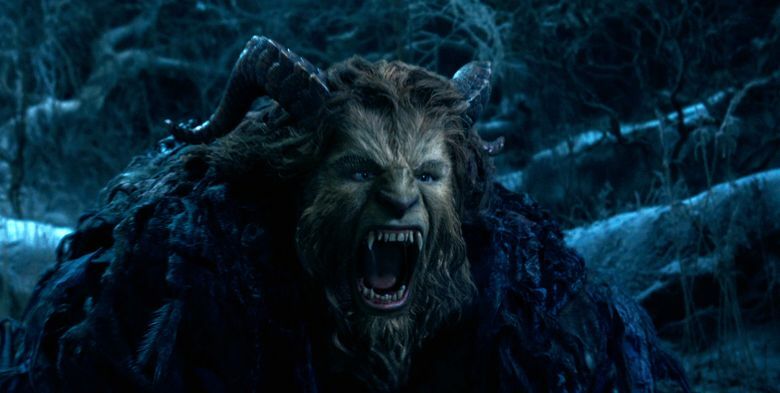 Emma Watson is a brisk, sprightly Belle and Dan Stevens a perfect Prince in the hotly anticipated live-action remake of the 1991 animated musical. 3.5 stars out of 4. My skepticism about the necessity of Disney’s live-action remake of its beloved 1991 animated musical “Beauty and the Beast” lasted, oh, about 90 seconds. The new film’s opening moments include a giant 3D red rose that seemed on the verge of beautifully devouring the audience, the irresistible spectacle of Dan Stevens’ Prince (pre-Beast) sprawled louchely on a gleaming throne as throngs of exquisitely gowned women whirl on a dance floor, and the glorious gilded-bird trill of Audra McDonald’s operatic soprano. It was gorgeous, it was over-the-top to the point of absurdity — and just like that, I was all in. ‘Beauty and the Beast,’ with Emma Watson, Dan Stevens, Luke Evans, Kevin Kline, Josh Gad, Emma Thompson, Ewan McGregor, Ian McKellen, Stanley Tucci, Audra McDonald, Gugu Mbatha-Raw, Hattie Morahan. Directed by Bill Condon, from a screenplay by Stephen Chbosky and Evan Spiliotopoulos, based on the 1991 animated film written by Linda Woolverton. 129 minutes. Rated PG for some action violence, peril and frightening images. Several theaters. 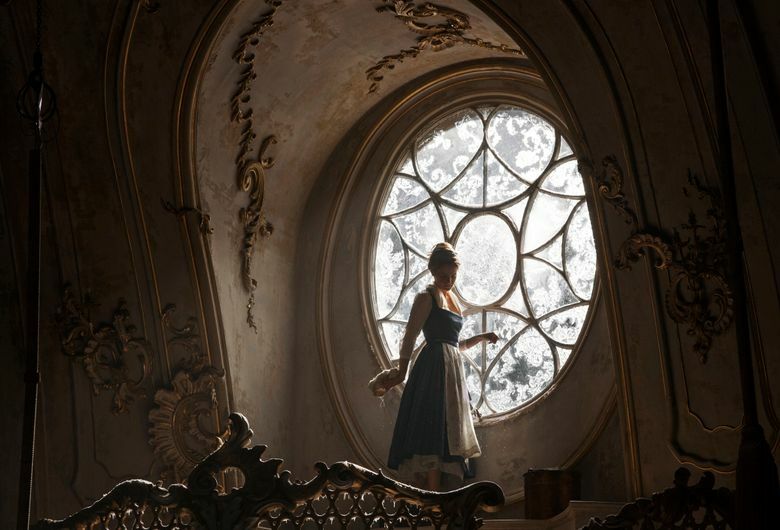 Emma Watson, who sings sweetly and well enough (though you’ll miss the soaring notes of the 1991 Belle, Paige O’Hara), is utterly winning as Belle. She’s got a way of gazing at her surroundings in bright-eyed wonder — watch her, calmly enraptured, during the wild theatrics of “Be Our Guest,” and you’ll suddenly see a dazzled-by-magic 11-year-old Hermione Granger — that grounds the entire movie, and she makes Belle’s courage briskly matter-of-fact. Stevens, though the beast is mostly CGI, lends his melted-chocolate voice appealingly to the proceedings. And the rest of the cast is just right, particularly Luke Evans and his manly jawline as villain Gaston (the one who uses antlers in all of his decorating) and Emma Thompson as housekeeper/teapot Mrs. Potts, who has the unenviable task of following in the voicesteps of the great Angela Lansbury and yet warmly makes the role her own. Is it overlong? Sure, a little. Did I sometimes wish the camera would calm down a bit during the musical numbers? Absolutely. But this “Beauty and the Beast” had me leaving the theater feeling utterly happy; like I’d spent time with old friends who’d grown and changed, and yet remained the same at heart.